It’s no surprise that the world’s most famous fairytale writer – Hans Christian Andersen – was born in Fyn. This is Denmark’s “garden island” – green hills populated with placidly munching cows, turret-topped castles, and half-timber farmhouses with chimneys emitting curls of smoke. 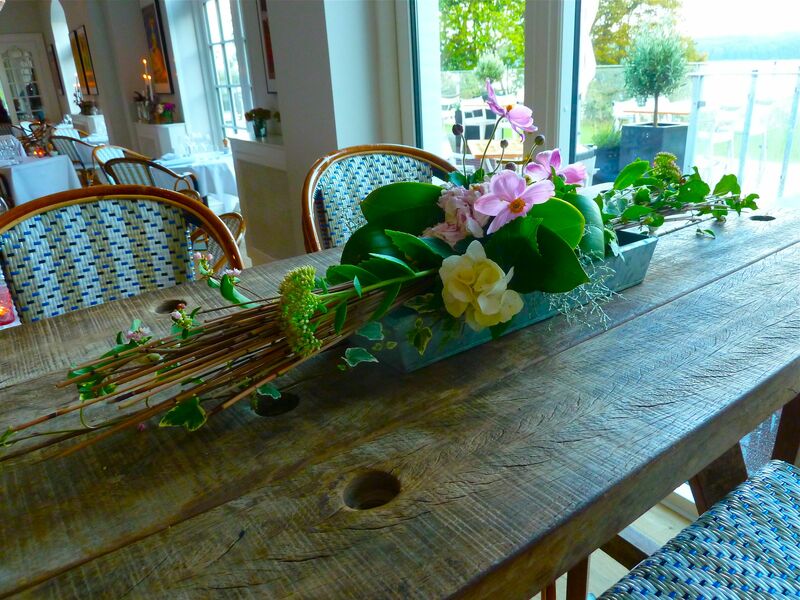 In Fyn, you can do more than read Hans Christian Andersen’s famous stories – you can also live them. Especially at the island’s homegrown hotels like Falsled Kro. Denmark’s best-known gourmet inn, the Relais & Chateau Falsled Kro excels at that particular Danish brand of down-to-earth elegance. 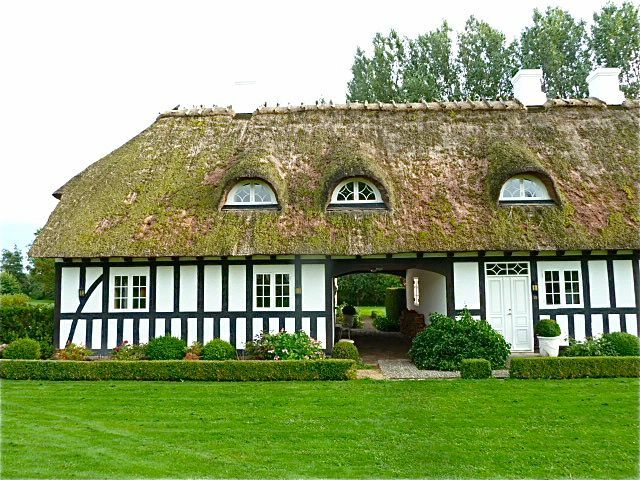 The whitewashed, thatched-roof inn has the outward appearance of a simple farmhouse planted in the Fyn countryside. But inside, the loft rooms offer five-star comforts and the kitchen is turning out some of the country’s finest farm-to-fork cuisine. 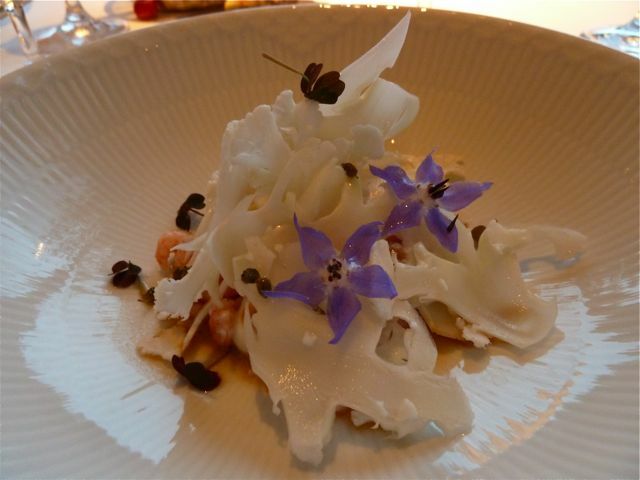 Chef Per Hallundbaek combs the inn’s gardens for daily herbs and spices to create dishes like sea bass with buckthorn, spelt and sorrel; Anjou pigeon with tangy beets; and Baltic prawns with cauliflower and elderflower capers. The hotel also has its own smokery on-site, which yields silky slivers of homesmoked salmon. 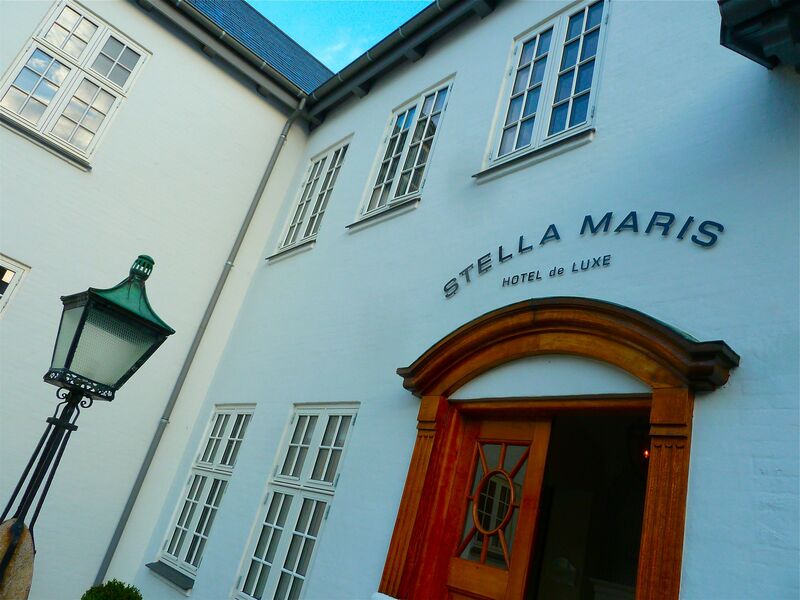 Denmark’s last surviving mission hotel opened as the Stella Maris this year on the southern coast of Fyn. The hotel’s evolution spans 100 years: Since its creation in 1904, Stella Maris has had various owners, including countess Anna Ahlefeldt Laruvig and deacon Kresten Christensen, before it relaunched in 2014 as the Stella Maris Hotel de Luxe. The airy, light-filled hotel lives up to its name – Star of the Sea – maximizing its waterfront perch on the Svendborg Sound with large windows and green lawns that slope down to the water. The hotel has a Scandinavian freshness – pale wood floors, milk-white walls and a maritime motif of blue pinstripes and anchors. 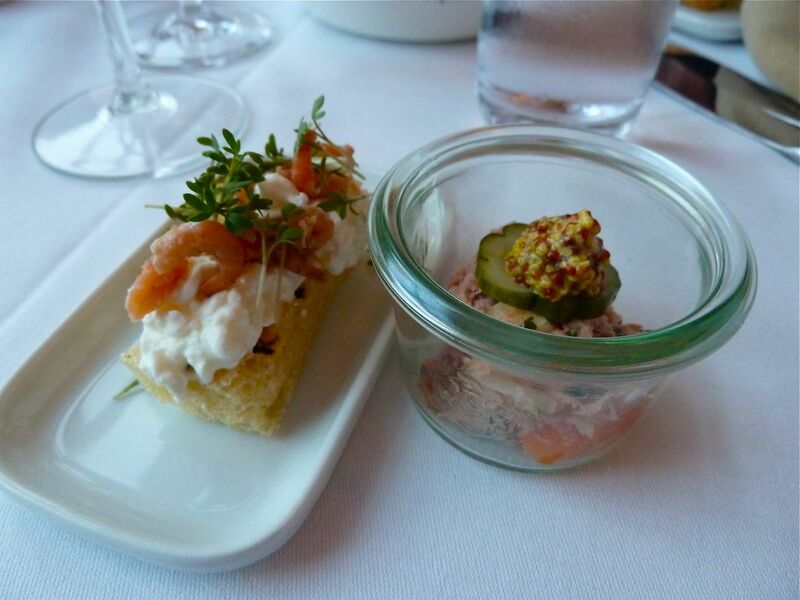 The Bistro Gourmand reflects this breezy elegance – the menu has a hint of French style, but is otherwise rooted in Denmark. 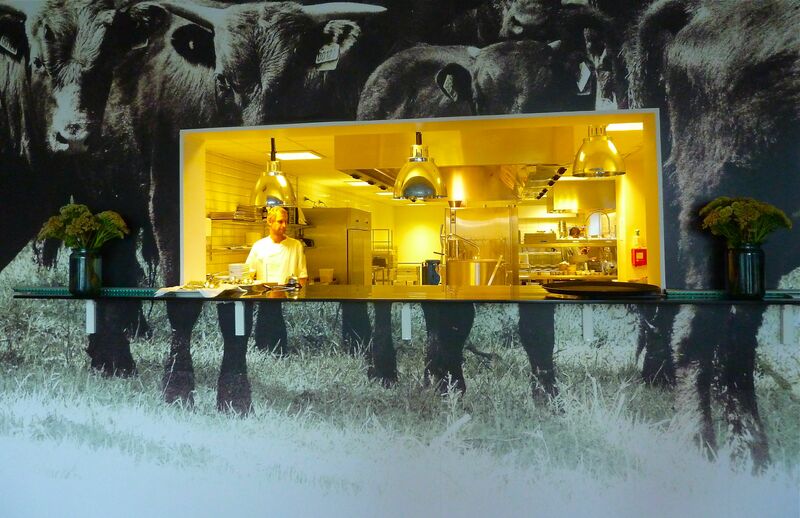 As the hotel puts it, “Our kitchen follows the seasons in Denmark – not countries on the other side of the globe.” Many of the ingredients are sourced from the hotel’s sister island – Vejro in the Smallands Sea – including fragrant herbs and Sane lamb. 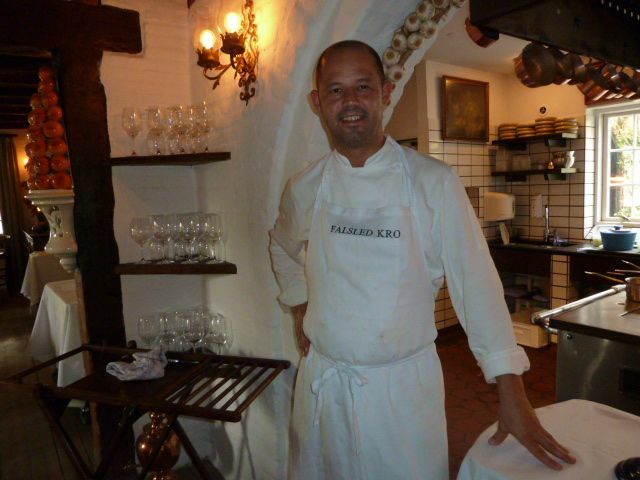 On the menu are dishes like langoustine with musroom ravioli and a seafood bisque; foie gras terrine with plum chtuney; deer with tangy green cabbage; and a platter of Danish cheeses, including the aged Svenbo cheese. But though the hotel has preserved many aspects of its mission hotel past, one important thing has changed: Unlike those pious days, alcohol is now poured generously. 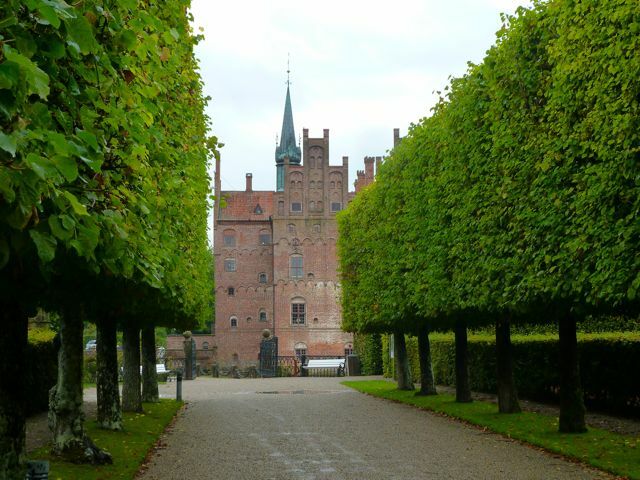 The kingdom of Denmark has perfected its castles, and this is most evident on Fyn. Presiding over southern Fyn is Egeskov Slot, which dates back to 1554. 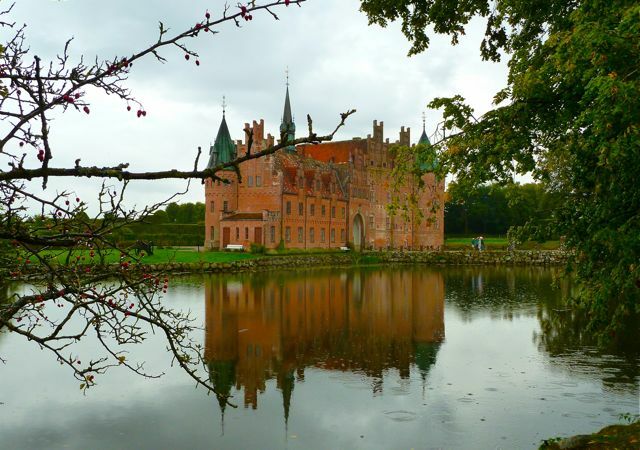 Egeskov can claim plenty of superlatives: It’s one of Europe’s best preserved Renaissance moat castles. The vast estate – which is more than three times the size of Central Park – includes beautifully landscaped gardens populated by regal peacocks. Here, you can wander through one of the largest and oldest mazes in the world, designed by the Great Dane Piet Hein, a poet and mathematician. Look also for an eruption of fuschia – Egeskov has one of the biggest collections of fuschia in Europe, with more than 1,500 varieties. Top off your visit in H.C. Andersen’s hometown, Odense, in northern Fyn. Stroll the cobblestone streets lined with half-timber houses, visit Andersen’s home and museum, and then enjoy a Tuborg (or three) at the local bar.